Best Thanksgiving Roast Turkey Recipe In A Brown Paper Bag – Easy, No Basting! 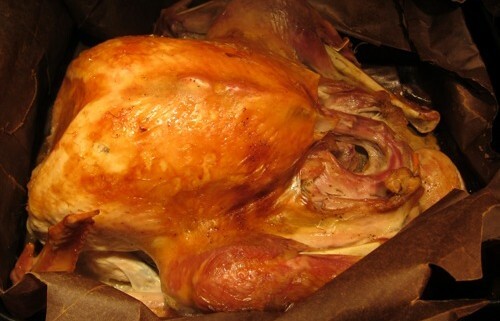 This Thanksgiving turkey recipe produces the best turkey I ever tasted! The turkey comes out perfectly browned on the outside, and most, juicy and succulent on the inside! Before I made this turkey, I always thought that I don’t like turkey breast meat because it’s too dry… but I loved the breast meat on this turkey 🙂 The turkey breast meat was also moist and melting in my mouth! This turkey is made without the stuffing inside. I make the stuffing separately from the bird. I don’t stuff the turkey because stuffing affects the cooking time – the stuffing makes the turkey cook longer resulting in the overcooked meat. I have found my perfect recipe for the Thanksgiving turkey – this is it! I will never make the roast turkey any other way, simply because this is the best Thanksgiving turkey recipe ever. The first thing you need to do is to make sure the turkey fully fits in a bag. This step is best done while the turkey is still packaged, so you don’t have to deal with the mess of moving the raw turkey in and out of the bag 🙂 The turkey needs to go in the bag and the bag will have to be closed and stapled shut. So put the packaged turkey in and see if there is enough paper left to close and seal the bag. If the bag is not long enough, you’ll need to make it longer by attach the second bag to it. My turkey was 13 lbs, and I needed the second bag. First, cut off the handles from both bags. To attach the second bag, cut the top half off the second bag, then attach that piece (the part without the bottom) to the first bag with a stapler or simply saw it on with a needle and a thread. Basically, you need to make the brown paper bag long enough so the end can be closed once the turkey is in. For the turkey, I recommend buying it fresh (not frozen) the day before making it and storing it in the refrigerator. Fresh turkey is more expensive then frozen, but you don’t have to deal with defrosting it and it also tastes better. If you are buying frozen, make sure the turkey is fully defrosted. To bring the turkey to room temperature, take it out of the refrigerator 2 hours before cooking it. It’s important to bring the turkey to room temperature so the cooking time is not affected (cold turkey will cook longer). Preheat the oven to 375F. Sprinkle the turkey liberally with salt and pepper on the outside and inside, and rub the salt and pepper on it. Don’t forget to take out the giblets, sometimes they are packed inside the turkey in the plastic bags 🙂 Put the onion, celery, carrot and lemon inside the turkey, and put the giblets and neck there too. Rub 4 tbsp of butter all over the turkey. Butter the inside of the brown paper bag with the remaining 2 tbsp of butter. Put the turkey inside the brown paper bag. Put the brown paper bag with the turkey in a roasting pan. Pour the chicken broth inside the turkey cavity. Fold the paper bag closed, and staple it with a stapler so it stays closed. Put the turkey in the oven. Estimate the cooking time – it’s 2.5 hours for the first 10 lbs, plus 12 minutes for each additional pound (for example, the cooking time for 12 lb turkey is 2.5 hours + 12 minutes + 12 minutes = 2 hours 54 minutes). Set the timer for the cooking time and forget about the turkey until the timer beeps! When the timer beeps, take out the turkey and leave it in a bag for 15 minutes. 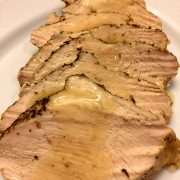 Then cut the bag open and take out the super delicious, perfectly brown and moist turkey! Enjoy your Thanksgiving feast! Enjoy this turkey recipe, and have a great Thanksgiving! 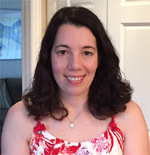 Get Melanie's FREE Recipes In Your Inbox! 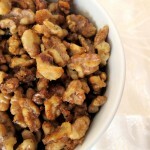 https://www.melaniecooks.com/wp-content/uploads/2011/11/turkey-brown-bag-ready.jpg 384 500 Melanie Mendelson https://www.melaniecooks.com/wp-content/uploads/2015/11/logo-new2.png Melanie Mendelson2015-11-23 11:22:532016-11-16 12:41:40Best Thanksgiving Roast Turkey Recipe In A Brown Paper Bag - Easy, No Basting! Very useful Melanie, thank you and Happy Holidays! i did a turkey in paper bag about thirty years ago. it turned out very good! About 40 yrs ago Betty Crocker Kitchens did a study on roasting turkey. Paper bag gave best results according to study. However, the turkey was placed on a rack in a shallow pan and pan and turkey were placed in bag. Turkey rubbed with olive oil and stuffed. Dry bag. Reynolds makes a food safe paper roasting bag. Available Amazon and Target. I am confused. This is really cool but why doesn’t the paper bag catch on fire? I would have thought that the oven gets too hot for the paper bag to stay intact. Your turkey looks awesome though and am so intrigued by this! Paper burns at a higher temp than 375 degrees. the moisture from the bird has always soaked all parts of the bag when I have done this. I have never had a bird turn out better than when cooking it this method. Thanks for your useful tip! Merry Christmas to you and your family. Happy Holidays! I have brined as well as used a plastic bag for turkey, but I have yet to try this method. I actually used a brown bag years ago for chicken, but cannot even remember the result. Perhaps I will test this out on just the breast (which is usually the driest) to see how it turns out. Your turkey here does look delicious. Yum! Happy holidays Melanie! 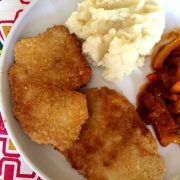 Hi Melanie, Thanks for sharing this great recipe with brown paper bag. I’ve been curious about this technique of roasting, and from the look of your gorgeous turkey, I now know it’s a winning method! Definitely passing this idea onto my parents! They need all the turkey help they can get! Wow, that turned out great! That looks excellent! I’d be scared that the bag would burn, but I guess the fat would keep the paper oiled/protected, right? Thank you for the recipes. Will try the brown bag turkey. Send more if you wish. I’ve roasted my turkey this way for over 40 years, hands down the best way!! Enjoy! Paper burns at 451 degrees. I’ve used this method for two turkeys, and using it today for the third, and it works so beautifully! My Mother rubbed Crisco on the outside of the bag and it never burned. Instead of cooking in my oven, can I also do this in my Turkey cooker? I am planning to try this for Thanksgiving. What does it means to “Butter the inside of the brown paper bag with the remaining 2 tbsp of butter.” How do you butter a bag?! I would use plastic gloves or put a plastic ziplock type bag on your hand, grab the soft butter and rub it all over the inside of the bag. I/my family have made our turkey like this for at least 30 years! You don’t need to make the larger turkey difficult. We always use two bags and just ‘telescope’ the bags, one from one end and one from the other. No need to staple anything. This has made the most amazing turkey for years! Mom did once mess up and have the ‘merry christmas’ from the store across the top of the turkey!! be sure to put the bag print side down! If your pan and turkey are the right size, you can put it over the whole pan, makes for an even easier clean up!! I have eaten so many turkeys and a different ways of cooking them over the years as probably readers have, and I can ASSURE you that this is the best! My mom always cooked our turkeys this way. If I happened to eat turkey anywhere else, I guarantee you I was disappointed in the outcome. you won’t believe the difference until you try it. 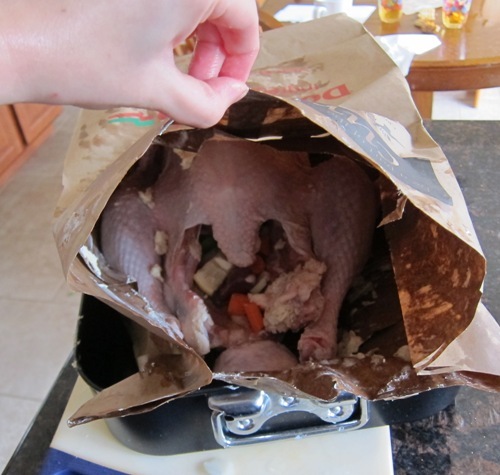 can i brine my turkey to use the brown paper bag method? THANK YOU for your service Scott! I did this today for Thanksgiving dinner,I would like to say thank you this is the BEST TURKEY! I was worried at first since I have electric oven. I took out the bottom rack in the oven and made sure the bag did not touch the element. 11.99 lb turkey took 3.5 hrs at 350. I will do this again for sure! I’m so excited to make this turkey again for Thanksgiving! I’ve been making it this way for years, and haven’t tasted a better turkey anywhere else! Happy Thanksgiving to you all! What a beautiful and crispy looking turkey. I would spend the day eating the skin off of this one. 🙂 At first I though you would need a special paper bag but it’s just a really grocery bag. Interesting! What a clever way to cook a turkey and very little mess. I always put the stuffing in my turkey. Can I do this? I can always add an hour to my cooking time. 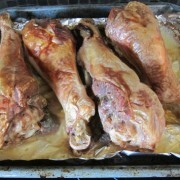 Claudia – I never tried putting the stuffing in the turkey using this recipe, I make the stuffing separately. To prevent the bag from catching fire, after the turkey is in the bag, I lightly rub the bag with vegetable or corn oil (olive oil tends to smoke, so I don’t use it). Once the juices start self-basting the bird, the bag remains moist throughout the roasting period. I have always cooked my turkey in the brown bag overnight. It goes back at least 4 generations in my family and always comes out perfectly cooked. We rub Crisco on outside of bag. It will be crisp & moist. I also use all the drippings for gravy. Enjoy…….. 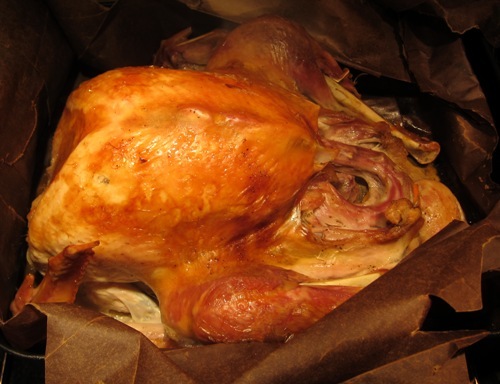 I used to cook dressing in the bird by wrapping it in damp cheesecloth and it was always just as good as the Turkey. Now I like placing Rosemary, Thyme, and Sage in the cavity for added seasoning. Thanks Melanie! Our turkey is brined for 8-24 hours prior, stuffed and cooked in a brown paper bag. We ALWAYS make our own gravy with only the drippings and flour (or cornstarch). So your method will work! Over the last 5 years I have put turkey inside the bag then in the pan and have placed the bag around my pan. No difference in anything other than the bag in the pan soaks up some of the juice/fat. It doesn’t change the taste of anything… This is sincerely THE most amazing turkey cooking method ever…. Moist, flavorful, brown and perfect without basting regardless of brining/stuffing, etc. buy a turkey or chicken or pork shoulder (yum!) or anything you like to roast and try it… I’d be surprised if you don’t always use a brown bag going forward! 😉 GOBBLE GOBBLE! Aime – thanks for your comment! So that answers people’s question about the gravy – yes, you CAN make the gravy with the drippings of this turkey! Happy Thanksgiving! My grandma learned to cook a bird in a greased brown paper bag from her mother, in the 1920s. It’s the only way everyone in our family roasts meat. One thing to mention is you don’t have to fit the bird “in” the bag. You get a large brown paper bag, make a single, long tear to open the bag, then fully coat each side and all edges with butter (this was always the kid’s job lol). Once you clean and prep/season your bird, you pour some liquid (water, stock, or beer, etc) in the bottom of the pan and you tent the bag over the bird, making sure everything is covered, then you just tuck the edges and corners under the bird to keep it secured. Much easier than worrying about if the bird will fit in the bag. This also prevents pieced of paper from ending up in your gravy. I stuff my bird all the time. The breast is very tender. I do not baste. I’m going to try and do a stuffed bird in a brown paper bag. Love the idea. You can always use the “butter flavored” Crisco. I’ve been using them for a long time–they’re quite handy. I’ve been making my turkey in a bag for 30 years. I like to use the turkey drippings for my gravy, so I started putting the turkey in a roasting pan, then put the pan in the bag. The turkey is still perfect! Do I see foil wrapped around the raw turkey? Where do you get brown paper bags these days? Grocery stores don’t put groceries in anything but plastic bags ! I guess it depends on where you live. I’m in Chicago, and all large supermarkets have paper bags… and the little ethnic stores have plastic. Go to the largest grocery store in your area and ask if they have paper bags. I save the big ones I get when we get Chinese takeout. They’re big and have no print/ink on them. I have discovered over the years that some inks tend to fill the house with smoke soon after putting it in the oven. I have also always buttered both the inside and outside of the bag, I’m not sure if it makes much difference since I’ve never tried just doing the inside, but every turkey has been perfect! I too have used this method for 40 years. I have overcome no paper bags by using brown wrapping paper and a butchers fold. I was taught to use mayonnaise for the rub, then season with salt pepper and fresh thyme. Always brown and crispy. Does everyone rinse their turkey out before prepping ? Does it taste as good if you don’t put the giblets, etc back in to cook ? Trying this in 2 days for Christmas ! I never rinse the turkey, it’s not necessary. It will taste the same without the giblets. Do you brine your turkey or no since you buy it fresh ? Sorry first cooking our turkey so I’m a bit nervous . I don’t brine the turkey, I think it’s too much work 🙂 Some turkeys are already sold pre-brined, it will say it on the label. I can’t tell in the pic, is tha turkey/bag on a rack in the pan? Or does that defeat the purpose. My first time cooking a turkey so I may be asking silly questions. It’s in a pan, no rack. I have a 20lb turkey this year, so I got paper lawn bags, like for leaves, and it fit perfectly once I trimmed it to size. Receipe sounds great, turkey looks great. I have a 21 pound bird how long should I cook it for? I cooked a similar size turkey before for 4 hours, it didn’t overcook. Hi, this will be my first year making a turkey using this recipe/method, I’m so nervous!!. 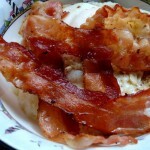 I’ve read a handful of other recipes and this one seems the easiest to follow. Many other brown bag recipies call for 13-15 minute per pound, yours calls for 12 minutes per pound after 2.5 hours. Will this cook through?. I’m tempted to try 13 minutes because I’m scared it won’t cook through. I’ve been making turkey this way for many years, it always cooked through at 12 minutes per pound after 2.5 hours. Thank You!! Thank You!! & Thank You!! This was The BEST Turkey I have ever made!!! My husband missed Thanksgiving because of work so I’m hosting a turkey dinner in his honor next weekend. SO excited to try this!! Quick question though, which rack should this be cooked on? The bottom? Yes, I remove the top oven shelf altogether and put the turkey on the bottom rack. Have done this paper bag method for 30yrs. Even roast chickens perfect. In this plastic bag age, all the stores were out this year for paper bags….so I tried a Reynolds baking bag. Did flour and vents and sealed up exactly. Mid cooking the bag (supposedly factory sealed…end. ).’ blew out and i had turkey drippings all over the oven. Never ever again. As usual, my simple green and my little green scrubbie and 30min. With papertowels and my oven was like new.